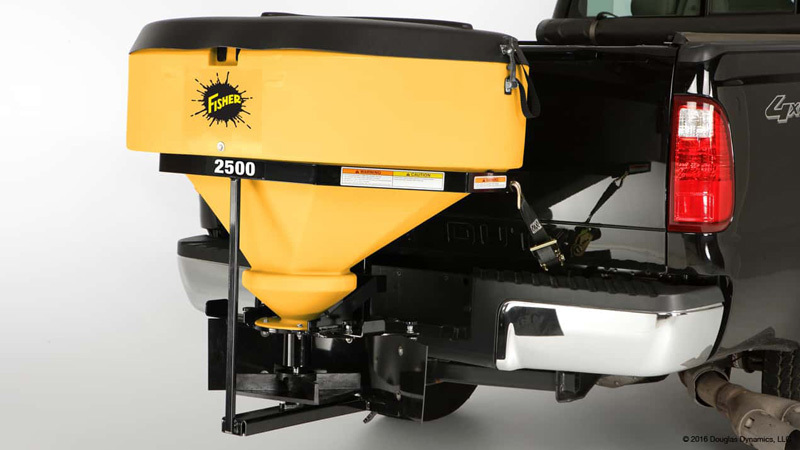 Designed with visibility in mind, the FISHER® Low Profile tailgate spreaders provide a clear view from the cab when backing up. These single-stage, high density poly tailgate spreaders deliver reliable, professional performance and are perfect for home use and commercial ice control. Available in three sizes to suit your winter service needs in Toledo, the Model 500 fits vehicles with Class lll hitch and Models 1000 and 2500 fit full size trucks over 6,000 lb GVWR.